This 12x12 double sided paper has Colorful Fall Foliage on the frontside. The reverse side has an olive green tone-on-tone with a pattern of leaves. 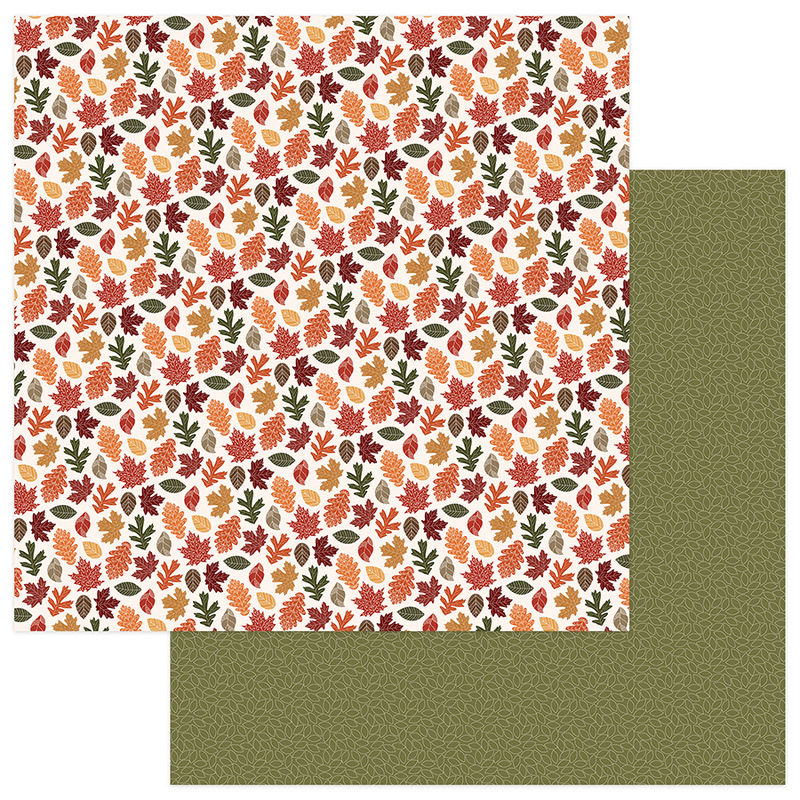 Look for other coordinating Autumn Orchard Designer Papers and the Element Sheet. Autumn Orchard Collection by Photo Play Paper.